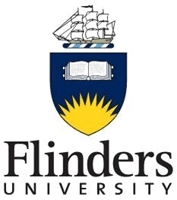 Flinders University School of Social and Policy Studies is pleased to host a two day symposium celebrating Emile Durkheim’s The Elementary Forms of Religious Life. First published 100 years ago, this book pioneered the sociological and anthropological study of the “sacred”. The School of Social and Policy Studies is pleased to host a two day symposium celebrating Emile Durkheim’s The Elementary Forms of Religious Life. First published 100 years ago, this book pioneered the sociological and anthropological study of the “sacred”. It has since spread well beyond the investigation of ritual and symbolism to broader questions in politics, philosophy and theology. This is because one of its main conclusions, that the realm of the sacred is not only a fundamental feature of the human condition, but central to the very creation and reproduction of society, has application well beyond the study of religion. Download a flyer for this event.